Yamaha X-Ride comes as the latest variant of the family of Yamaha which will hit the market new scooter in Indonesia. Yamaha Indonesia will make X-Ride as new trend automatic scooter incredible tough with many advantages. Display Yamaha X-Ride different from the scooter in general. 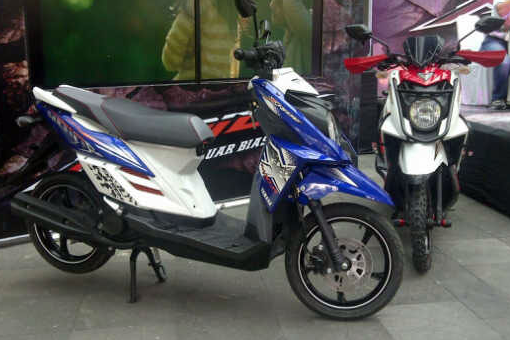 Yamaha X-Ride scooter crossover first in Indonesia will be targeting young people which spirited adventure. X-Ride uses engine 4-stroke, 2 valve, SOHC, fan-cooled, capacity 115 cc that can generate power up to 7.75 PS at 8.500 rpm with a peak torque of 8,5 Nm at 5.000 rpm. X-Ride equipped with Technologies Yamaha Mixture Jet Fuel Injection (YMJET-FI) and Forged Piston and Diacyl Cylinder, is claimed fuel consumption to be more efficient and faster. 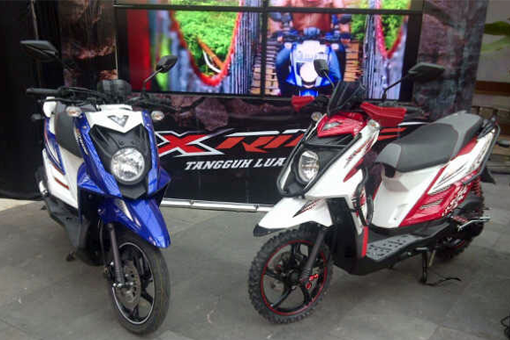 X-Ride provides a choice of 4 colors, namely : Drifting Black, Adventure Black, Skater White and Crosser Blue.